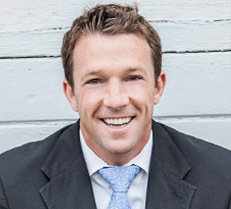 Trevor Quirk completed his undergraduate work at the University of California, Davis in 1999 and received his law degree from the University of the Pacific, McGeorge School of Law in 2003. Trevor has been the recipient of numerous honors. Such honors include, McGeorge Student Bar Association President, McGeorge Scholar Award, Outstanding Student Service Award and the Alumni Association Scholarshipto name a few. Outside of the numerous awards, starting a tutoring program for underprivileged children at the Police Athletic League is his proudest accomplishment. Trevor is a member of the Business Network International, Consumer Association Attorneys of Los Angeles, Ventura Trial Lawyers Association and Ventura County Bar Association. Mr. Quirk is licensed to practice law in the states of California and Nevada.